It’s a pain in the…everywhere! Friend: Hey, question, are you always in pain? Jewminicana: Yes, very little time am I ever NOT in pain, maybe an hour here or there. Friend: So how do you function? Jewminicana: You ever get a papercut? Jewminicana: I have a HUGE, huge papercut! Friend: So how do you function with it? Jewminicana: I grit my teeth, take breaks. I push through the pain. Sometimes I can’t. I don’t have a full-time job. I’m not quite sure how I do it. Friend: But I am trying to figure out how to function. Jewminicana: I know exercise helps me. Sometimes, muscle relaxers and other medications. But also it’s how you think about it. It’s never going to go away. It’s always going to be there. You have to train yourself to get used to it. Friend: Maybe you have some tips. Jewminicana: Get mad and try to get over it. Ever since I started writing about fibromyalgia and telling people about it, I’ve had conversations like these. Every once in a while, I unearth another chronic pain sufferer and we try to cope with the stuff that seems impossible, living with pain on a day-to-day basis. People come to me looking for hope. That if I’m there writing about it, I must be functioning. It all depends on what you mean by functioning it. I’ve learned to live with my fibromyalgia in ways that I never thought I would. But I never forget that I’m a full-time disabled person. A person who can’t work full-time or even part-time. A person who can’t support themselves. A person who is very dependent on the kindness of others. I wish that I had words of wisdom. When I think back to my horrible childhood, I wonder what I can offer someone else who is also suffering through a tough time. Sometimes, all I can offer is that I endured. I survived. 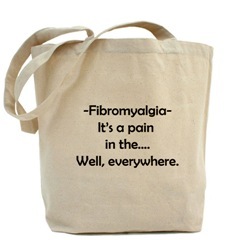 I think, I hope, that I have survived fibromyalgia, too. That I have done the best I can on a day-to-day basis, in spite of it even working towards a new career.